Actor Johnny Marco is convalescing after a minor injury at Los Angeles’ Chateau Marmont hotel. He leads an empty life of watching pole dancers, picking up women, and sleepwalking through press conferences. But his listless state is interrupted when Cleo, his daughter from a broken-down relationship, comes to stay with him. 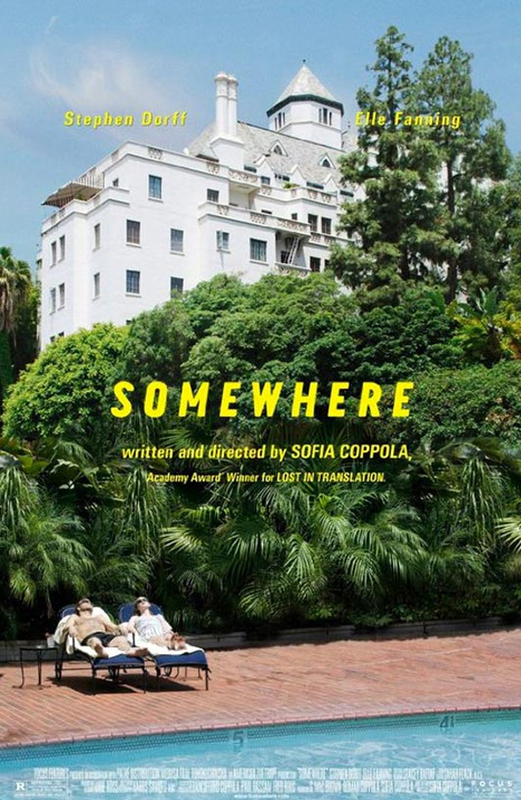 Like Director (and Screenwriter) Sofia Coppola’s previous films (The Virgin Suicides, Lost in Translation), there is a daddy-daughter, young-girls-trying-to-find-their-place in the world, theme to this story. And like these previous films, this is a well-made, gently paced and slyly witty film whose direction makes it original and truthful. This film evokes in us the feeling of ennui, with every frame, conversation, setting and its sound, which is the intent. Stephen Dorff as Johnny Marco, fills this inherently lazy man with a sad charm. Elle Fanning as his daughter is equally able – she’s upbeat without being irritating. The only thing I would have changed in this film is the ending. However, ultimately it’s worth watching. Like Coppola’s other films, this is an understated, languid film that if you give into its pace, charms, and soundtrack, you’ll find yourself happily rewarded.